For kids affected by asthma and allergies, air quality is a big concern at home and school. In fact, the EPA suggests that a school’s physical environment (cleanliness, air quality, etc.) can play a major role in academic performance. It’s important for kids to understand the concepts of allergens, air particles, and pollution so they can start to take control of their daily health and performance. Here’s a simple activity you can do with your kids to show them that there are things in the air we can’t see. It’s a great way to start a conversation about protecting ourselves during allergy season and staying healthy in polluted areas. 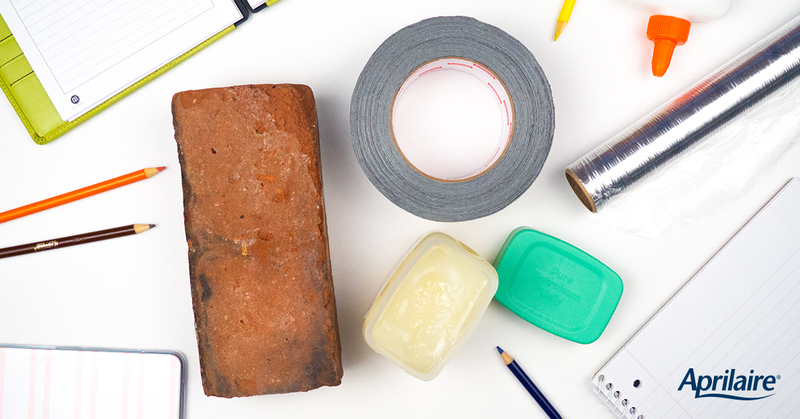 Secure the piece of plastic to a wooden block, brick, or other heavy object using the duct tape. Coat the top of the plastic with a smooth, thin layer of petroleum jelly. Identify an outdoor location that is mostly open with decent air circulation (on a fence post is preferable to on the ground). Let the plastic sit for at least 24 hours (avoid rainy/snowy days). Collect the plastic and bring it inside. Remove the plastic and place it on the blank white paper. Examine the plastic for any particles collected, and make a list of these particles, describing them as well as possible. These are small particles floating in the air we breathe. Kids can see a clear representation of what they’re breathing, and you can discuss why it matters. Optional: Create two plastic/block sensors and place them in different locations – at home/at school, indoor/outdoor. Then compare the particles collected by each.